Our 240mm Wind Turbine Roof Ventilators are all manufactured with plastic with UV and heat stabilisers. As a result, the Whirlybird Roof Ventilators will not rust or corrode. All Roof Ventilators produced in many standard roof colours. 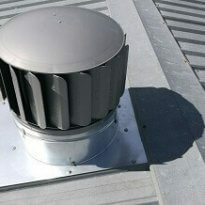 Therefore these Roof Ventilators and Roof Extractors will fit in comfortably with most roof colours. In fact, most reasonably handy DIY installers will fit our Whirlybird units very quickly. The natural movement of stale air in the roof space without energy. Vertical form Roof Ventilators 25% more efficient than the old Onion shaped extractors. Manufactured with UV stabilised PVC. Reduce condensation in the roof space and ceiling. Two bearing in each unit and not one like traditional ventilators. 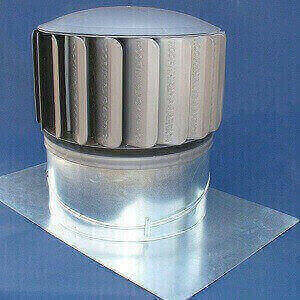 Roof Ventilator prices exclude Throat and base plate.